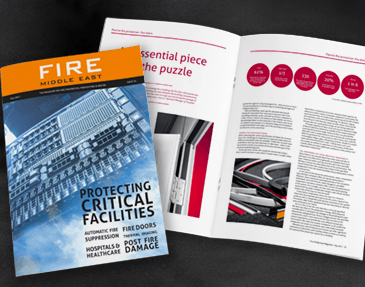 Published in the Technology and Innovation section, the September 2017 issue of IFP Magazine features editorial written by Andy Walsh, Pyroplex Technical Manager regarding the innovative approach Pyroplex took in developing its intumescent technologies. Whilst intumescent systems incorporating flame retardants have been widely available for many years and used broadly across the building and construction industries, the current economic and environmental climates make it more critical than ever to address the sustainability of utilising nanotechnologies in fire retardant products, whilst also addressing concerns over the health and well-being and potential risks to the environment in using halogenated chemicals. Pyroplex has recently completed a two year project of innovative development in this area, resulting in the creation of a new compound with enormous application potential, offering many significant performance and safety benefits. 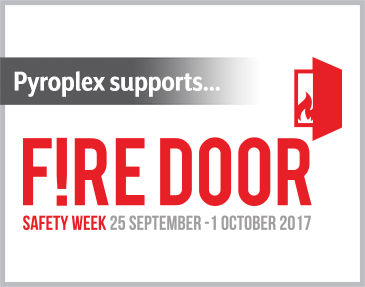 Pyroplex Technical Manager, Andy Walsh discusses his thinking and findings following the “industry first” piece of product development for the fire safety industry. “Intumescent systems have a proven track record in terms of their behaviour under fire load conditions. As such, manufacturers have been determinedly developing many new formulations to cover a wide range of applications. Yet environmental worries around halogenated chemical are being overlooked whilst the potential for nanotechnology to revolutionise this industry sector to create nanocomposite flame retardant products is yet to be fully understood. 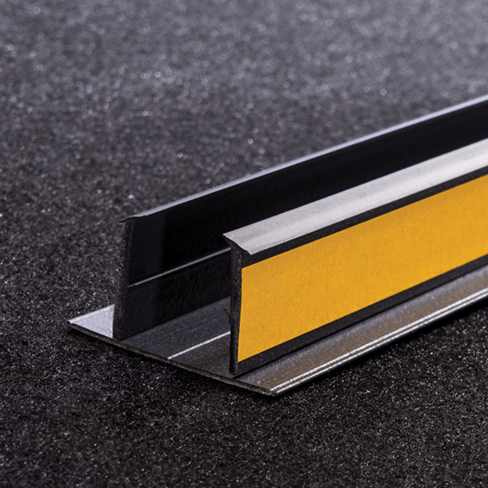 We therefore set Pyroplex the challenge two years ago and since then, we’ve been developing our rigid expansion materials with the above-mentioned issues at the forefront. Following in depth chemical analysis, many laboratory trials and fire resistance tests, a unique new formulation is now available in semi-rigid polymeric compounds. So, what is it exactly? This new compound consists of substituting classical polyols (char forming agents) with char forming polymers (polyamides and thermoplastic polyurethane). It will be shown that the advantages of this concept are to obtain flame-retarded (FR) polymer blends with improved mechanical properties in comparison with polymers loaded with classical formulations and the avoidance of problems due to the water solubility of the polyols and their migration. The “nanocomposite approach” enhances the performance of intumescent systems by using a nanostructured char forming polymer. It will be shown that this combination of intumescence via the blending approach and nanocomposites enhances both flame retardency and mechanical properties, allowing many specifications to be produced (for example, the design of EVA-based materials for flame retarded low voltage cables and wire). Most chemical systems are typically based upon phosphates, hydroxyls, brominated flame retardants and other associated Reactive and Additive Flame retardants. Intumescent systems, are reactive materials, which when exposed to incipient or direct flame will expand many times by volume. The Expansive will generate volume forming pressure, however, the degree of pressure forming will vary depending upon the active element used within the formulation. Under certain conditions, the base polymer will ignite and support combustion when exposed to a sustained heat source, due to the ignition of the plasticiser or other polyfunctionalised compounds used within the formula. 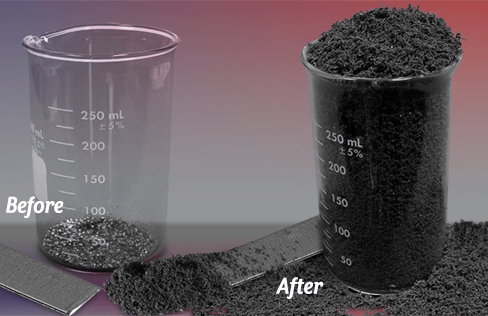 The degradation of the polymer can in some cases restrict the volume forming capabilities thereby reducing the mechanical stability of the charred layer. The most common approach involves incorporating fire retarding additives into the bulk polymeric matrix during the processing. However, the loading of fire retardants needed to be effective is usually very high, which affects the intrinsic properties of the materials such as strength and elastic modulus. The second approach is the chemical modification of the polymer backbone. Such modifications, which are usually rather expensive, depend on the matrix being fire retarded. These modifications can also lead to a change in morphology and physical properties of the bulk polymer. Flame retardants (FR) that reduce the rate of combustion are constituted by chemical compounds or the mixtures thereof that deter the time to ignition and decrease the rate of pyrolysis or the oxidation of polymers on contact with a flame. The onset of thermal degradation of carbon polymers requires the supply of a relatively minor amount of energy that breaks the covalent bond C-C. 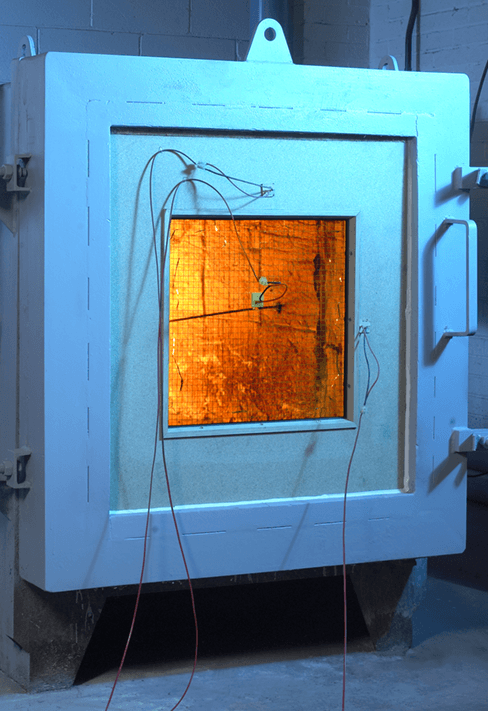 It is a prerequisite for the combustion process to be sustained that the amount of heat transferred by the flame to the sample ensures at least a constant stream of volatile products of pyrolysis that penetrate the flame. In the event of a fire, the flames consume an expanding area, the intensity of the heat stream is on the rise and the entire process is an autocatalytic reaction. The mechanism involves volatile flammable combustion products which are essential here. The flame retardant agent systems may either rely on physical (cooling, forming of a protective layer or fuel dilution) or chemical (condensed phase) reaction or gas phenomena, depending on their properties. They may impact various stages of polymer combustion – heating, pyrolysis, ignition, thermal degradation propagation. 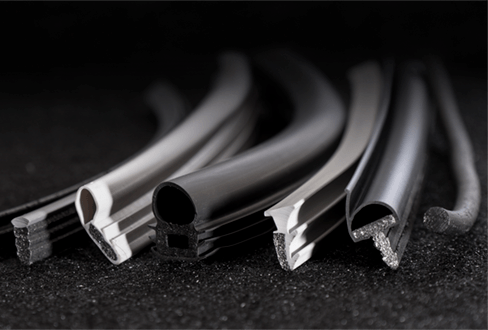 Pyroplex has developed an extruded unplasticised polymer, which has been specifically formulated to extend and enhance the physical and mechanical properties of the material without using ceramic fibres, fillers or non-REACH compliant materials. This latest innovation in material technology is unique amongst its rivalled competitive products. During the expansive phase stages, the polymer liberates moisture which provides a cooling effect, creating an expanded, thermally insulating layer from the separating element and reduces the rate of temperature rise of the substrate when exposed to elevated temperature loads. Again, during this expansive stage a high resilient carbonaceous char is formed, effectively thermally crosslinking the ash formation thereby minimising the degradation of the char, when exposed to a continuous fire load. The implementation of the REACH regulation has given rise to systematic study of the impact of chemical substances on the life standard and health of humans as well as on the environment. Among the substances classified as hazardous and recalled from the market are some agents heretofore applied as fire retardants. Brominated bisphenols have been identified as PBT agents (persistent, bioaccumulative, toxic). Under the UNEP Stockholm Convention of 2009 it has been prohibited to apply some halogen free retardants and this restraint was enforced in Poland as well as in Europe in 2011.